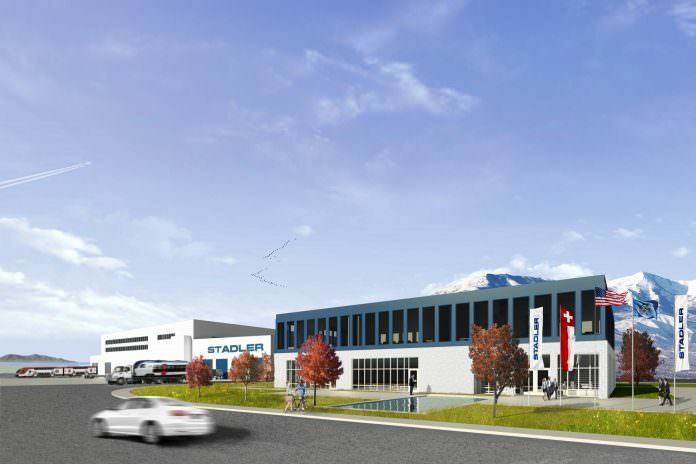 An artist's impression of Stadler's Salt Lake City facility. Credit: Stadler. 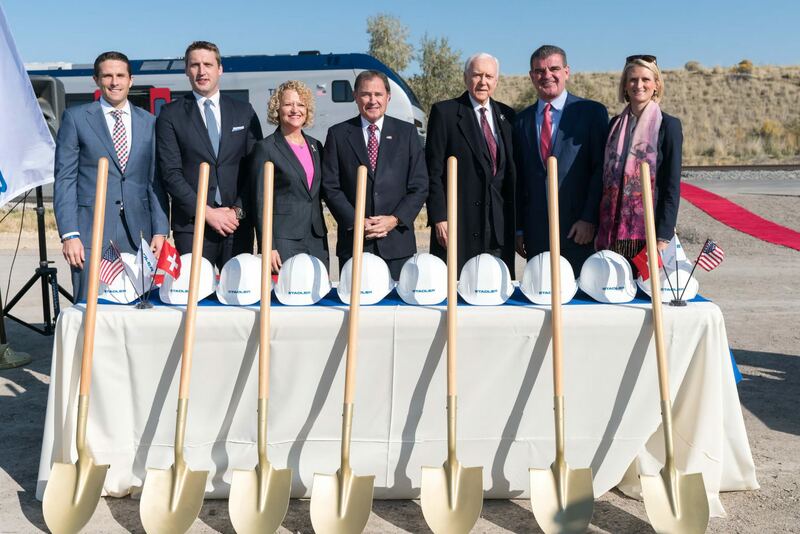 A groundbreaking ceremony has been held for Stadler’s new rolling stock facility in Salt Lake City, Utah, the United States. Stadler previously rented a service facility from the Utah Transit Authority to build its TEXRail trains but an order from Caltrain meant that the company needed more space. The new facility will be used to assemble lightweight multiple unit trains for the American market. The 62-acre facility boasts 75,000ft of production space for the bogie, main, pre and final assembly of single- and bi-level trains. In addition to storage and handling areas, test tracks will be set up for the commissioning of the trains. Stadler Group CEO Peter Spuhler said: “It makes me proud that we were able to lay the cornerstone for our new American plant in Salt Lake City today. The ceremony was held on October 13.